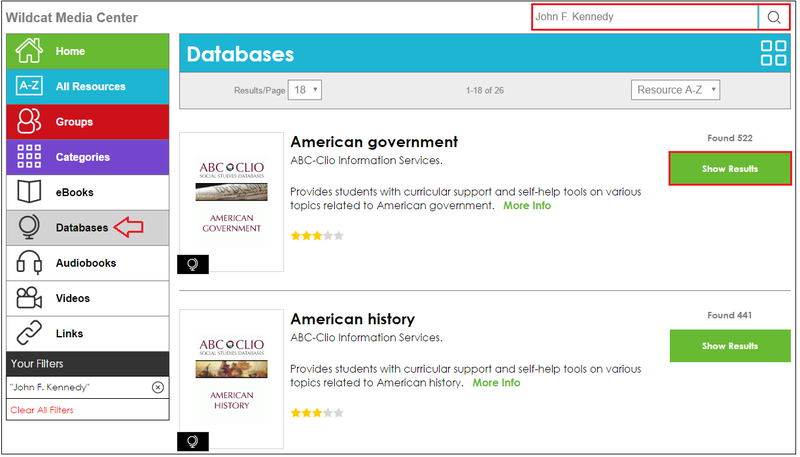 How do I quickly search through databases in MackinVIA to find articles on a specific topic? Searching through databases is easy with Deep Discovery Search. Select Databases and type a word or a phrase in the search box. For example: “John F. Kennedy”. Click the search button or press Enter. Our system will submit your search to all participating databases and return articles that match. Click “Show Results” to view a sampling of articles. Click on the title of article to view it within the database.